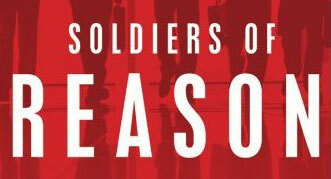 A page-turning chronicle of the rise of the secretive think tank that has been the driving force behind American government for the last half century, Soldiers of Reason is the first-ever history of the RAND Corporation, written with full access to its archives. Born in the wake of World War II as a factory of ideas designed to advise the Air Force on how to wage and win wars, RAND quickly grew into a magnet for the best and brightest, and became the creator of America’s nuclear strategy in the struggle against the Soviets. From its ranks arose Cold War luminaries Albert Wohlstetter, Bernard Brodie, and Herman Kahn, who arguably saved us from nuclear annihilation with their doctrines of fail-safe and second strike, and unquestionably created what Eisenhower first termed the military-industrial complex. The Kennedy era brought RAND directly into the corridors of power, where its analysts became McNamara’s Whiz Kids and its theories of rational warfare steered our conduct in the Vietnam War. Those same theories would drive our invasion of Iraq forty-five years later, championed by RAND-affiliated actors such as Paul Wolfowitz, Richard Perle, Zalmay Khalilzad, and Donald Rumsfeld. But RAND’s greatest contribution might be its least known: rational choice theory, a model explaining all human behavior through self-interest. With that theory RAND sparked the Reagan-led transformation of our social and economic system and also unleashed a resurgence of precisely the forces whose existence it denied—religion, patriotism, tribalism. Alex Abella has rewritten the history of America’s last half century and cast a new light on our problematic present.